L.A. just called me to watch the shuttle Atlantis land… What a sight… This trip is just getting better and better. It was beautiful. First just a flashing dot of orange color light then a steady point of light… and toward the final stages it just looked like a beautiful comet in slow motion. A shining orange point with a streak of white tail behind it…. As I’m watching u in the background of the press conference that the crew members are conducting with some earth media, it suddenly hits me: it’s the people like you – I mean, not the wealthy, but the “civilians” – , Rutan, Bigelow, who will really open the space for the rest of us. Private ops are the only way to lower the – until now – astronomical fees needed to put something in space. And LEO is the key, anything farther is going to remain as a realm for the – shielded – specialists for some more years. Not a borderline, just beauty… Alright with those tears of you. It’s what the sight of our Earth deserves. hi.I’m really happy that one of Iranians is in space.I have a question and I was wondering if you answer me.From up there,how do you see the stars and how much the sky is different from what we see on earth? !Thank you so much.I wish you luck. inja dar iran saat 8:10 pm ast. man baa shaadi va hayajani ke tanhaa dar hadde shenidan va tasavor kardane Atlantis ro baa chashm haaye shoma didam! be vojoodetoon baa tamame vojoodam eftekhaar mikonam. fekr mikonam baa neveshtan baraye shoma dar tajrobetaan sahim shodam.baramoon baaz ham benevisin. I am a young boy from IRAN and congratulae you for being in the space and fameing Iranaian name in the world. I saw your Interview with iranian TV and I ask you if you can have much more communication with Iranian people. In Iran people are veru proud for your trip and in anywhere talk about you and your trip. I wish you to be happy in anywhere you are. I hope someone had a camera!!!! What a great sight that must’ve been. Does anyone know if this is a first? watching the shuttle land from the ISS? 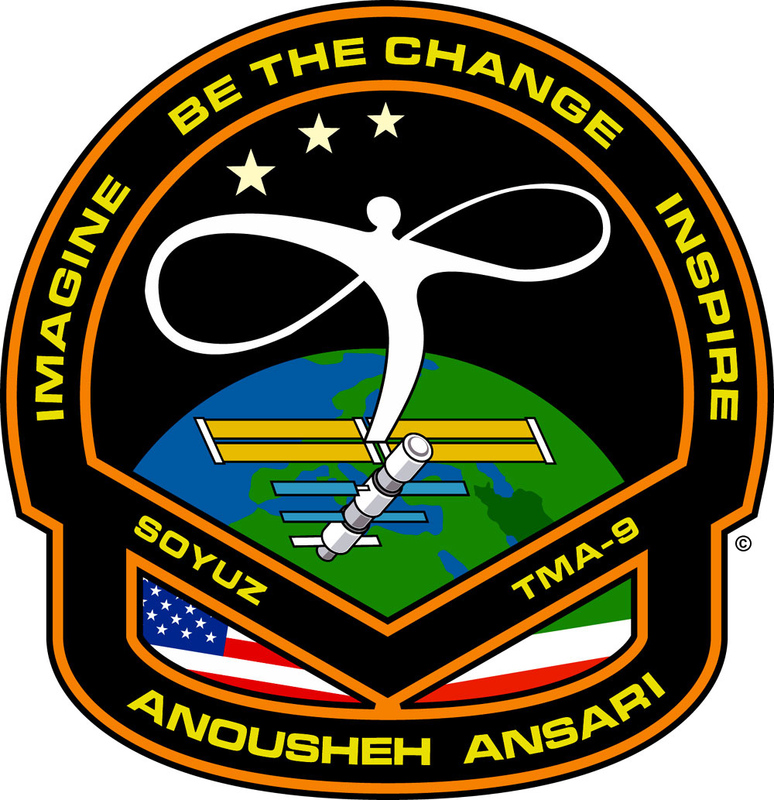 Anousheh, speaking as one who has spent far,far too many hours watching NASA TV footage from the shuttle, be sure an keep your eyes out for falling stars. Usually when you are on the nightside of the planet, you will be able to pick them out quite easily. Swoosh!! bright streak of light skimming across the top of the atmosphere…those and the lightning storms make for quite the spectacle. Can’t wait to see your pictures. you expected or more. When i saw you enter the ISS my heart was filled with pride as i watched all the emotions in your eyes.At that moment i came to realize what Debbie Joon been saying to me about my fear of flying. If my dream is to travel,then i need to take the bull by the horns and do it. I thank you for sharing your dream with us and looking forward to reading more of your blog. Patricia P.S. How do you sleep with out floating to the top. I hope that now you have finished the money. Where do you will want, the next time? to Mars? May be it is better a home delivery. inja dar iran sa’at 8:45 pm ast. man inja baa chashm haaye shoma baazgashte Atlantis ro didam. baa tamame vojoodam be vojoodetoon eftekhaar mikonam. didani haaye shoma baraye maa kheili shenidani khaahad bood. montazere neveshte haaye ba’ditoon hastam. Thank you for taking the time to describe your experience for the world. Outstanding story so far!! I particularly like your humanitarian view. I have dreamt of going to space ever since I remember, and as a 20-year old I hope that by the time I’m old space will be open for people like me. Your words are touching, and it is amazing to be able to talk to someone who has followed her dream untill it came true, and it has definitely not let you down, seeing the Earth and all and a space shuttle enter Earth’s athmosphere. It is people like you who shine the torch for us all, who give us hope for a better world that so many of us eyarn for. Keep up this blog, it is a treasure of an experience that many of us yearn to follow, and thanks to people like you the chances are we might follow in your footsteps one day. Anoushe, i will see you tommorow,Don’t Forget iranian people,we will see you tomorrow! انوشه انصاري عزيز !ايران به داشتن فرزند بي نظيري چون تو افتخار مي كند . I am really excited about your trip to space. I’ll be watching you tomorrow when you pass iran ‘s sky.I hope you write more about your feelings there and how it is to see the space from above.. at least for those who just dream about it. خيلي دوستت دارم وبه عنوان يك زن بهت مي نازم . From one Iranian-American to another, wish you all the success and best. God Speed Anousheh. Ma hame be shoma va movafaghiatatun eftekhar mikonim. I am really excited about your trip to space. It’s great to see the earth orbiting while you can’t feel it on the earth. i just hope you write more about therehe: and your feelings and how it is to see the lovely planet from above. even your speach bring tears to my eyes!good luck.tomorow we are watching you from iran . Tomorrow morning is Big day for iran. we can see ISS before sunrise. we saw ISS before but tomorrow is different because persianstar is in ISS now. we’ll see you when passing iran’s sky. welcome to your land Persianstar. What a moving description you give of the way you saw our beloved planet from Soyuz TMA-9. Enjoy every moment and return safely. A bientôt sur Terre ! What do you mean with these nonsense words? I’m really glad you travelled space, I know that’s a really amazing adventure, so enjoy every moment of that. A nighttime shuttle landing is indescribable…saw one a few years ago. Looked like a huge, unseen hand was drawing a razor-straight, wide phosphorescent orange streak across the sky. The white “tail” that followed the phorphoresence was a good few seconds behind, paling to soft gray before dissipating. Never saw anything like it! I can’t wait to watch ISS’ apparent flight path over Plano this Sunday (6:14 AM, 30 degrees inclination WNW-NNE). Wave as you pass by, Anousheh! i’m so glad that one of the irainian woman came to space. before u 3 men have taken this practice and none of them are famous. but i think your are being the famous woman in the world. i also say congratulation to u about making a palce in U.A.E for someone who wants to go to space. wow …your adventure is so much exciting to me… it reminds me of my childhood…i’m ganna go out in the yard now and watch the sky where you are now. God it’s been a while since i last gazed in to the night sky! What is the most difficult thing to be in the space? What would have made you resign the project? Close to whom would you like to share this experience? من به عنوان یکی از علاقمندان اندیشه و اهداف شما در همایشی که به احترام شما در فرهنگسرای هنر(ارسباران) برگزار شده بود شرکت کرده و در پایان از برگزار کنندگان خواستار دعوت شما به ایران شدم. هم اکنون بطور غیر رسمی از شما دعوت مینمایم به ایران -وطن خودتان- تشریف بیاورید و ما را بیش از پیش سرافراز نمایید. We are very proud of you! Iran is proud of you! The whole world is proud of you! I am an 28 year old male and I have two daughters. I think space is important for human kinds continued progression and exitence. I wanna thank you for taking the inititive in helping make space and the ability to travel into space something able to be commonly spoken about, and because you are a “minority” and a women I have taken you as an example to show my little girls (Angelyca (11) and Jada Alexandra (5)) that all you have to do is set a goal, put your mind towards your task and you will be able to accomplish anything. Being a girl or in our case Hispanic or any other excuse should be no reason to stop you from achieving your dreams. Thank you for steping into the spotlight and being a role model for the world. Thank you for sharing your experiences for everyone to read. Spaceflight is something I have dreamed about since I was a child. I don’t think I will ever have the resources to do what you have done. I love space and astronomy to this day and dream of how beautiful the earth must be from space. I am happy for you that you had the opportunity to experience this. Be blessed and be safe. Enjoying space as much as possible? I hope you have some mysterious revelation of space and encounter extraterrestrial challenges. Anoushehe aziz Salam.har rooz be site va webloge shoma sar mizanam va omide tofigh baraye shoma ra daram . dar pasokh be anhayee ke bar shoma khorde migirand ke chera poole khod ra sarfe raftane be faza kardeieed bayad goft ke anan behatar ast ro dar roye jang talaban va gharatgarani ke milyardha ra kharje jang, koshtar , … miknoand beistand na shoma ke piamavar solh ,azadi, pishraft,… hastid… kash emaili az shoma dashtam shad bashid o tandorost. I’ll see you tomorrow above tehran sky from distance about 400km.Hope see you in tehran land from distance near ! As you’ve already heard, the whole world is proud of you… but being proud of you in Iran, means something else! Your determination was so praised that you made us all proud of you.We,as the IRANIANS,are really satisfied that your dream has come true and we have to appreciate you because of your attempt and your authority. You are going to pass IRAN’s sky in few hours.So,I will wake up early in the morning to visit you at the sky and pray for you,your family and all the Iranians around the world.I hope one day we can all achieve our dreams and prove the world that IRANIANS can gain whatever they desire. I wish you a wonderful,safe journey back to the earth and I hope you will continue your great job and can achieve bigger dreams and can make IRANIANS and your own family happy and honoured more times. My God, this is wonderful: one iranian young woman , in the space. I and the brazilian people look to the space, and we know that you is there. You is in the sky, together million stars. Enjoy every second and return happy, better than before.Please, answer this e-mail, I will be waiting. Finish, I pray and ask to my God : happy return to earth, to your dear parents and friends. Excuse me my bad english. Good Luck, in portuguese BOA SORTE ! It’s all the first step from mankind to an unseen goal, a target far away; and you are part of it. Please keep us informed, it’s not only very nice to read about your trip, it is important for more people you can imagine..! Please tell the other ISS-members I think about them! compliments for your travel in space! I just wanted to let you know how happy I am for you to be where you are. Despite the hundreds of congratulations and well wishes I’m sure you are receiving, if nothing else I hope mine adds one more to the tally. Juan mentioned Bigelow above, did you see BA’s announcement yesterday, that they’re planning to put a hab (180 M^3) up by 2009, and a much larger station (500 M^3) by 2012? What an exciting week for space enthusiasts! Congratulations. Do you plan to fly on the Virgin Galactic suborbital flight still? Hello … now u r in space that I think just some ppl have destiny to have this very very interesting trip. (( dear Anushe I think there is no word to describe this feeling that u have experienced )) … here in everywhere we speak about u proudly . world first female space is an Iranian woman really were unbelievable news for us ….but u really showed a way that our dreams can come true and its depends to us .when we have dreams into our heart always these dreams conduct us to right way … congratulate (clap clap smile ) to u ….vth best wishes for Iranian world first female space …. In these days all of us looking forward to see an Iranian in space …we gaze at night sky and the stars vth different sense bcaz for u and this sense is indescribable ….vth full best wish for see ur other successes about wat u like … good luck to u ..
for me ,there’s a whlie from of reading something and cry … really when I read your last blog “hi world” I cried ! you write very beautifl ,and really effective ! hope to read a book written by you about your trip ! I am an elderly American living in Mount Kisco, New York. world and all of its inhabitants well. Salam… Congradulation, Congradulation, and Congradulation. As an Iranian woman & Plano resident I want to tell you how proud we all are. Your name will always be in history for centuries to come. My best to you and your family, and have a safe trip coming back to Earth! save and easy come back. keikavos. I am editor in chief of a Persian-English weekly for the Iranian community in Toronto (Canada). We all are very happy about your trip to space and feel very proud of you. Your story has been our cover story this week(sep-21-06) and also the week of August 24- when we first learned about your upcoming space trip. I wonder if you could check it out yourself from space(www.salamtoronto.ca) to see how happy we are about you fulfilling your dream. If you were going to make only one wish, while watching our mother Earth from the space, what that wish would be? I’ve enjoyed watching your flight to ISS – it gives us all hope that someday we might get into orbit ourselves. I was watching the Atlantis land yesterday morning on NASA TV as well and enjoyed comments from ISS about watching its re-entry. I’ve been fortunate to have seen shuttle re-entry’s before and it is quite spectacular watching the bright pinkish orbiter and the long trail it leaves behind. By the time the orbiter disappeared over the horizon, the trail went from horizon to horizon! We don’t get to see re-entry’s from Arizona anymore since all mission go to the ISS and the ground track does not come near us during landings at the Cape, but I can imagine it might have looked very similar from your vantage point high overhead. I did get to watch the ISS fly over this morning – it made a great pass just under Orion in the lite morning twilight and I got some pictures of it too. Ever since watching Skylab fly over when I was a young boy, I really get a kick out of watching a point of light fly overhead and thinking about the humans that are part of that point of light. You’ll be making passes in each of the next few mornings, and I’m going to try and catch a few of them at least and will be thinking of you and your fellow crewmembers when I watch that little point of light overhead! All the best for a safe flight and safe return! You remembered me of the beauty of life.Your smiles,giggles,your excitement,your tears,your love…all of these are like a wonderful art work.I will keep these in my heart for ever.You are wonderful Mrs Ansari.I will keep this beauty in my heart for ever.We need to see these beauties to remember our love.Thank you very much.God may bless you. I’ll be glad to be honored to make you happier as you made me.Would you pray for us Mrs Ansari to be honored to make you and the ones like you happier?Would you pray for us to be honored to make the world happier?Would you pray for us to be honored to set peace and justice in the world?Would you pray for us to be honored to have infinite hope in every moment to the infinite love of the only ever-being almighty?Would you pray for us to be honored to love every being more and more? I don’t know where to begin. It has been a week since you became a part of my family. I feel very connected to you (may be because I share many of your ideas about humanity and our earth). The evening before your take off, while I was doing my power walk, I was silently praying for you and your safe return (and ever since you have been on my prayers…I ask the universe to bring you back safe and sound becuase you are much needed here, loved by my millions of people around the world, and have lots of work ahead of you!). By the way, I used to work for MCI (from 89 to 99). I was at the Pentagon City office. Were you at the same office? I also came to the states in 84. I always thought scientist do not have a poetic side. But, you proved me wrong (After all you were born and raised in the land of poetry and literature). Your description, feelings, and sentiment of the trip, the orbit, the humanity, and seeing the earth for the first time from inside your spaceship was incredibly touching. You are a beautiful human being Anousheh. And, as a woman and an Iranian I am very proud of you and thank you from the bottom of my heart for what you have done for humanity. You are the ultimate inspiration. I am certain that if our planet is ever going to make it, it will be because of people like you. I am so happy for you. Your Texas size smile conveys the excitement you must be feeling and makes me want to gaze out a window onto Earth myself one day. I am hopeful that your trip to space will ignite the dreams of the youth of Iran to pursue their righteous freedom. There is nothing that Iranians and Americans cannot not accomplish while working together as free peoples. as an iranian I am very proud of you. Congratulations .no matter what a expensive trip.the matter is that you are very very^10 Brave and every Iranian feel proud of you and alway pray for you . what a wonderful world when you were on the earth you always look at sky and when you are in the space you always look at earth isnt it!!!! It occurred to me while reading your description of your experiences and emotions from space that perhaps a new unique word or phrase should be coined to convey the devestatingly profound effect that you and the fortunate others have experienced in space. Perhaps you could start something on Wikipedia ….. I was surprised that the liftoff and ascent were as smooth as you conveyed … I still have visions of internal camera shots of the early days when everything was shaking like crazy! Ah, progress! Enjoy it all, and return safely so you can tell the rest of us all about it. Best report from space that I have read. Gave me a really good idea of what it is like in space. Very Very Good. Could almost smell it. Got a link to your blog on mine. I did really follow all your training and trip via NASA live TV. I really see that your trip means for all something important and worthy as they did it by theirselves. This is irrespective of gender, religious or nationality and this is simply interpreted that you did a great job to bring these people together. I do not think that I would go to the space as my life has been already busy with another domain. However, your trip proved that the world becomes physically smaller and smaller but in reality the distance between human beings gets more and more. I hope you continue your career and use this opportunity to bring more peace and happiness to the world where we are belonging to. I also want to have this opportunity to congratulate your husband, Hamid. I would be more than happy to welcome you and your family in Canada if you pass by. I hope a safe return to the “AS USUAL EARTH”. Very proud………You must feel confident enough within yourself to follow your own dreams. You inspire lots of people. Good for you……… How wonderful! What a successful and pleasant adventures! Good luck and Have a safe trip back to earth. You know, growing up in Iran I watched a lot of Indian movies. I really like Indian music and dance. Tell your friends in school that aunty Anousheh said it is important for all of you to study hard and to become great people who can imagine new things and create new things to make the world a better place for all of us. Quelle chance vous avez de pouvoir faire ce voyage .J’ai assisté au décollage de Discovery le 4 juillet de cap canaveral ,j’aurai aussi donné cher pour pouvoir etre de ce voyage qui restera pour moi du domaine du reve . Quelle bonheur de découvrir l’arrondi de la terre de là haut ,de pouvoir voir de près l’ISS . Profitez bien de cette expérience à laquelle peu d’hommes peuvent prétendre . Embrassez le Ciel bien fort pour moi sur les deux étoiles. Qu’il vous protège et vous comble de ses Grâces! My good what a trip what a life what an experience. May the stars and the planets bless your courage and hapiness. That what I call a LIFE! فردا شما خواهی آمد ومن وما خوشحال از موفقیت شما جشن شادی بر پا خواهیم کرد . I wish you good luck and I hope you achieve all your goals in life. We (Iranians) outside Iran are extremely proud of you and we talk about you everyday in chat rooms or amoung friends. We are once again united and all thanks to you. Please see our beloved country (Iran) from space and describe it for us how beautiful it is. Thank you so much for your comments / replies which is helpful to add our knowledge. Can you pls inform whether you can sleep well in space. baraye shoma arezooye tahaghogh tamame arezoohatoono daram.sabet kardid ke mitoonid. nemidoonam chetori az ehsaasam baratoon begam,az inke cheghadr khoshhalam ye khanoome irani ba in eghdaame shoja-aanash toonest be hameye ma zanane irani neshoon bede ke residan be arezoohaa mahal nist faghat talash mikhaad.pedaram vaghty baraye avalin bar az shoma shenid ashk tooye cheshmanesh halghe zad.man alan az ghalbe kavire iran, Yazd, daram baratoon minvisam,va kheily jalebe baram bedoonam ke kavir az ooonja too faza che sheklie?!!! !omidvaram sahih o saalem be zamin bargardid va ma betoonim harfaye shoma ro az faza beshnavim ,gar che etelaa-aate shoma rooye website ham besiar aalie. Dear Anousheh … I as well as the rest of the world am proud of you. You show the world that women can do what men do. Maybe even better….. I would suggest that women like yourself (educated, spirited, and intellingent be given a chance to govern our world matters and concerns….Lord knows that our smartest men have not been doing as well as we would have hoped…. Peace bill. That’s what is called standing tall.Words can not describe how your giant step inspired the world, but you planted a seed that is going to spread and grow through many generations to come.Not only you inspired the world, you brought joy to many hearts and tears of happiness to many eyes. Relax and let everything soak in. You truly deserve it. Be proud of that smile on your face . Thanks for the smiles and thanks for the tears. I would like you to know that I admire your courage and determination and as a woman you are a great achiever. Definitely you set a new records. Thank you for blogging out your observation and feelings it’s just simply karamath. May God Bless you and your family. – Danny del Pilar, Pitpitan, Philippines. Comments on this story are now closed — please proceed to the future.